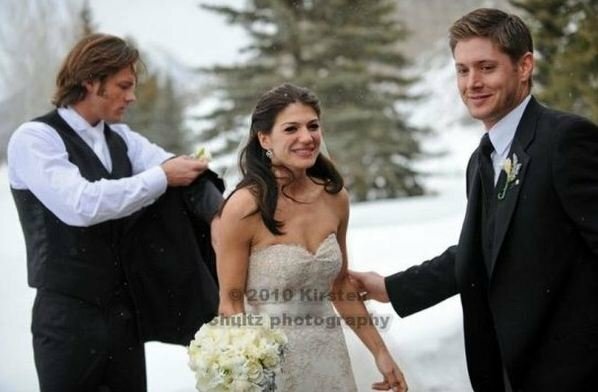 Jensen at Jared's Wedding. . Wallpaper and background images in the 詹森·阿克斯 club tagged: supernatural jensen ackles jared wedding jared padalecki genevieve cortese 2010.